Sometimes, however, it seems that craft blogs don't receive the standing they deserve in the blogging world. So when two of my good, real life, friends launched their own crafty corners of cyber space I was very excited! Not just because it means that craft blogging has infiltrated my Real Life and become something that Real People do... but also because I know these girls, and I know these blogs are going to be spectactular! Made Peachy is written by my old colleague / editor / friend, Laura. 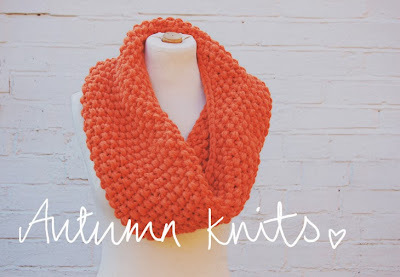 It's titled The Home of Daily Handmade Inspiration, and it doesn't disappoint! But of course it wouldn't! Laura is a stitchy, knitty extraordinaire! I first met her when she was Deputy Editor of Let's Knit. If it wasn't for her, I wouldn't have a clue what amigurumi was and she was the first person I ever saw using DPNs (which at the time, as a g-stitch scarf knitter, seemed incredibly clever!). I worked under her when she was Editor of Sew magazine, and remember her mostly sprawled on the office floor checking dress patterns whilst I piled copy on her desk for her to check in her 'spare' time. (Those were the days...). Since then she's excitingly gone freelance, has written her own Sewing Manual, has another DIY wedding book in the pipeline and has now turned her hand to sharing her all round amazingness with the interweb. And we're not just talking bog-standard inspiration, there's free patterns, downloads, quick makes, interviews, reviews, competitions and giveaways. Not to mention beautiful, professional photography and writing. In fact, this is more online magazine than blog, and it acts like it, with a post of loveliness every single day, like clockwork. If you read one craft blog, make it Made Peachy (and as a thank you to me for letting you in on it, read this one too please!). On my list of things to make, is this lovely, autumnal cowel a la Laura, might have to be for next winter at this rate though! Visit www.madepeachy.com, follow Laura on twitter +Laura Strutt and buy her book! Last year the whirlwind of creativity that is Lucy Hopping started working in my office as a children's craft product developer. But that wasn't where her passion lay, and as she crocheted, stitched and knitted her way through each lunch hour, it quickly came to light that she was actually in the middle of writing a craft book! And by happy coincidence, her co-author and good friend was a designer I had worked with in my previous job (whether she would have been aware of this, I don't know!). That book was handmade hit of the summer, Handmade Glamping by Charlotte Liddle and Lucy Hopping. And seeing as that collaboration worked so well, they've roped in another crafty friend, Michelle, and recently launched Dotty Does - a blog about their crafty, handmade exploits. It's early days and so far they've been busying themselves at various festivals and shows, but I'm sure that this blog will develop into a fabulous source of crafty inspiration so keep it bookmarked and check back often! 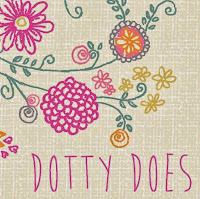 Visit www.dottydoescraft.wordpress.com, follow them on Twitter @DottyDoesCraft and on Pinterest.